What if I forget my registered email address? Forgot your registered email address…? If you cannot remember your registered email address, there is not much we can do right now. Currently this is the only way to find out you registered email. 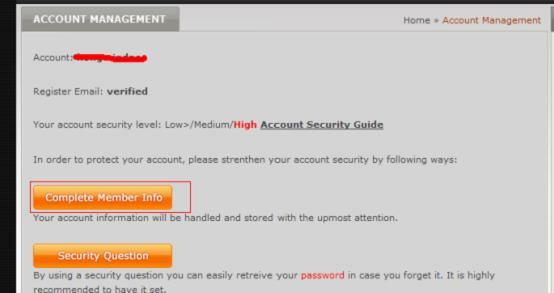 But if you remember your account and password, you can visit www.igg.com and then click the button "Account Management". Click "Complete Member Info" to view your registered email address. your password for any reason. How to log in the game first time? How do I delete my IGG account? How to retrieve the account or password? How to change the password of my IGG account? How to activate a game?